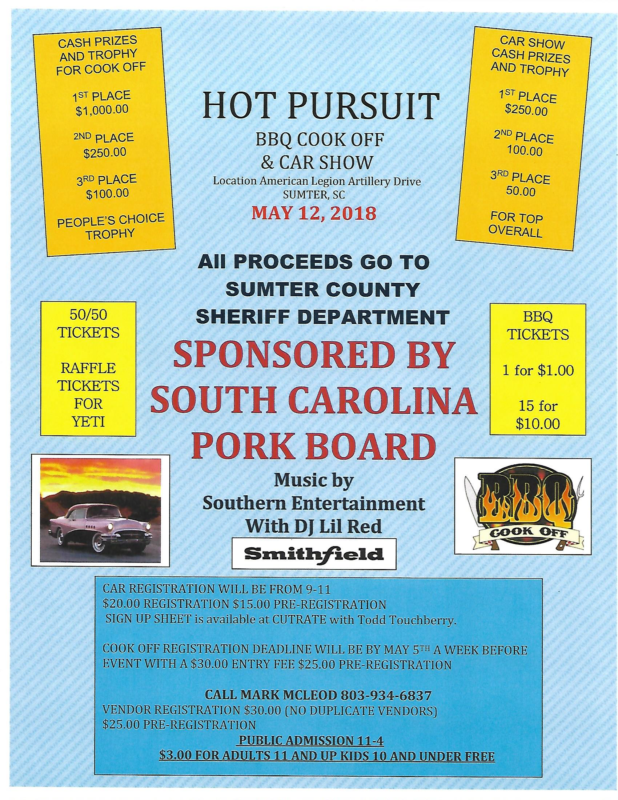 All proceeds go to the Sumter County Sheriff’s Department. $20 registration day of show. $15 pre-registration.